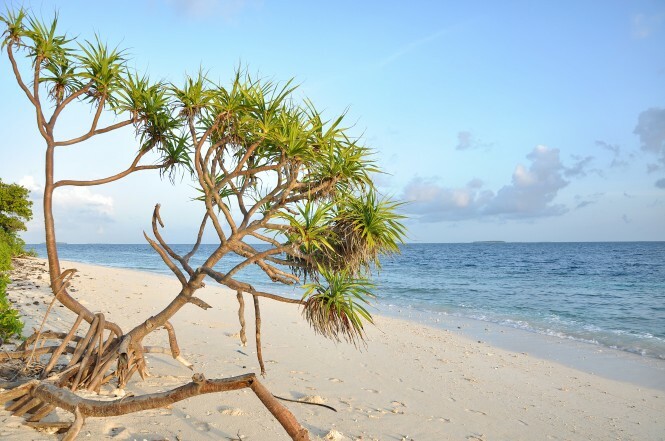 The Maldives has a good enough reason to be concerned about the protection of the environment. We have not contributed much to the factors causing global environmental change; yet we are among the most vulnerable! We ask you to enjoy the beauty and magic of this unique environment and to help us sustain it in its pristine form as long as possible. Air is pure as can be. Unpolluted seas teeming with life of such diversity that boggles the mind. Nature at its very best. This is what we ask you to share with us for as long as possible. During your most welcome presence here, do help us by considering the following. Avoid any activity that may harm any of the natural vegetation at your tourist resort or any of the islands your visit. Do refrain from killing fish unnecessarily. If you feel like doing some fishing, inquire about approved programs and practices. Keep in mind that spear guns are banned. Avoid handling coral growth and marine life. Please avoid littering. Note that not only your resort but even the narrowest side lane on the smallest fishing village is kept very clean. Do not discard batteries, dry cells, empty cans, bottles and other containers – especially polythene wrappings and bags – in places are not intended as disposal points. If you are charitable enough, please do pick up any offending articles that less conscientious persons may have left behind. We shall be duly grateful. Enjoy your stay in a clean environment and please help us preserve it! Your unique and fragile environment deserves a chapter of its own on your front page to make tourists aware of the harm we are causing and how we can best support marine and land wildlife. I also looked in vain for information on what the Maldivian government is doing for the protection and adaptation to climate change in your wonderful country . Thank you for letting us share your beautiful country.